Once upon a time I had writer's block. It wasn't because nothing great was going on, rather there was no time to write and when time was found, I was too exhausted to write. When to my wonder and amazement, a friend from across the world learned of my situation and tagged me. Now I generally don't do tags, but this one came at such an opportune time, I could not resist. I learned I must answer the given questions and then invent new ones to ask five other people. But due to my horrible plight of indecision, I suggest that whoever would like to pick up this tag is welcome to it. I would love to read your answers! What is your guilty pleasure? Would sleep count as a guilty pleasure? If not, I am going to have to say reading. I always feel guilty when I am reading. Like I should be doing something else, but I sure love reading. What is that one thing you would really like to do before you die? Ah, my bucket list. It is rather long. One of the things I am actually working on right now (sort of. If by working on I mean thinking about while I eat my brownies) is running a marathon. Okay, that is just something I really want to do and am determined to do before I die. Just maybe not while I am nursing a baby. If you get a chance to meet one of your blog readers, who would you like to meet and why? Hmm, this is a toughie. I am going to have to say all. Really, anyone who takes time out of their busy day to read my ramblings is worth meeting. They really must be a choice person! If you get a chance to live the life of one of the characters you have read in a book. Which character would you choose and why? Anne Shirley. She is so full of imagination and laughter and life. And her life is realistic. But more than that, she does get her happy ending. She gets all of her dreams. What could be better than that? Name that one book or movie or piece of art or music, that you think should be burned. I don't think I could answer this question. Too many people would be after me in anger. But let me just say, to that most popular book right now, I want my three days back! Yes, I read your series in three days, and could have done so many more constructive things. And the brain cells lost while reading you? At least I have never seen the movies. Or read the last book in the series. At least I have that. What is the sweetest, most heart-stopping thing anyone has ever said to you. You can also mention who said it! :D "Mommy, you are a prince!" It was said right when I needed it most. I smiled. Tears came to my eyes. It was perfect. And my son always tells me I am pretty too. Of course his Daddy taught him that. Those two are just the best! What is that one thing that never fails to make you cry or smile? My family. I smile every day because of every single one of them. I am a bit obsessed, really. Dark chocolate, Milk Chocolate or white chocolate? Dark. And milk. Never white. -Optional- If you were a season, which one would you like to be? I feel I don't really need to answer this question because it is fairly obvious. Fall, of course. That is when the weather is perfect, the colors are most vibrant, both of my children were born, and HALLOWEEN! Need I say more? If you could be a Disney vilian, who would you be and why? If you were a road sign, what would you say? In a fight between Jackie Chan and Chuck Norris, who would win? Defend your argument. If you had to choose between making out with Max Wright or Curtis Armstrong, who would you choose? When attending the movies, what is the biggest thing you have smuggled into the theater? Which was your favorite year of your life and why? If you could have one super power, what would it be? Explain. What is the most bizarre food you have ever eaten? Are you for or against wild rainy nights? And now, to break the rules, because I can. And I really like some of those questions and just want to answer them. And because I can. If you could be a Disney villain, who would you be and why? I would so be Yzma. She is the coolest bumbling villain ever! And have you seen her henchman? Enough said. I would probably say "Slow, children at play" because I am all about playing, and don't get much done because of it. What word or phrase do you use the most? It used to be "You bet your boots," but now is probably "Oh dear." I only know that because I hear Keith saying it all the time. Jackie Chan. Chuck Norris is supposed to be all big and stuff, but he really isn't Big in Japan (sorry, I had to throw that in there. Obscure 80's allusion. If you know it, major points for you), and Mr. Chan does all his own stunts, so you know he is tough. He has broken every bone in his body. He isn't afraid of a little pain. Chuck Norris is all muscely and stuff, but that is just from his late night infomercial selling a home gym. He looks tough but he really is all bark no bite. If you had to choose between making out with Max Wright or Curtis Armstrong, who would you choose? And you have to choose one of them! Right now I am wishing I hadn't chosen this question. Yuck! But since I am answering them, I am going to have to say. (ewewewew!) 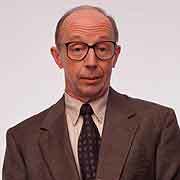 Max Wright (ewewewew!). He may be slightly less gross than Curtis Armstrong. Ha! I love having a diaper bag! I have stuffed that baby full of treats and a two liter. I have a friend who smuggled in a whole chinese meal, and another friend who brought his own bag of already popped popcorn and a pizza. I am working up the courage to try my mad ninja skills and get some of these things in, but up to date it has been small potatoes for me. Just sodas and treats. I am going to have to say my junior year of high school. I had so much fun that year. I learned to swing dance, I formed my tight circle of friends (most of them boys, who I am still friends with since Jeffrey was friends with all of them as well.) Really, the most fun year of all. First off, I would love to fit into one of those great super hero outfits. That could be a super hero power, right? No? Well, then I would be able to transport things instantaneously. Including humans. No long car rides with screaming kids for me, baby. Instant travel is the only way to go! My answer for this is going to sound lame, but really, it was very difficult to swallow. And at the same time, it was given to me with so much love, that I really appreciate all of it. Even though I couldn't eat it all. While I was serving a mission, I got to visit a great couple who lived in a garage. Not a re-furbished garage, but a garage with no insulation, no heat/air, nothing. They did not own a refrigerator so they had to go to the store every morning to get milk. For a living they made donuts and walked around the parks selling them to anyone who would buy them. One morning while visiting this couple, I was served whole milk which was very warm. A sandwich on crusty stale bread spread with mayo, refried beans and something else, I can't remember what. It was the hardest thing for me to eat. It tasted horrible to me, but the love that went into it melted my heart. And though I didn't care for the food, I will always cherish the memory. They gave their best. They didn't have much to give, but they still wanted to share with us, and for that, I love them. I asked this question because it is raging outside my window right now. And I am loving it! I love the wild winds, the staccato of the hail on the window, and the grumblings of the thunder. Just makes me happy! And there, my friends, are my answers. Can't wait to hear any or all of yours. If you read this, consider yourself tagged! And thanks Kaibee for this great way to get past my writers block! I followed the link to your house - I love the curtains in your living room! Great questions..... I'll pick just one to answer - I love storms when I'm all cuddled up and safe! My favorite is to be camping and hear the rain. I have not done a tag in such a long time. Well maybe I'll do this one...you'll have to go to my blog sometime and see if I did it or not. This was fun to read!! I like Anne Shirley as well. That's why Avenley has the name she does. We just changed the spelling from Avonlea because I was afraid She'd get called Avon- (like the makeup company) Leah. Really fun and creative post! Thanks! This was fun. My mom always used to make popcorn and sneak it in. We often bring in bags of jellybeans or other similar snacks.